Surrounded by light woodland at the western edge of Surrey stands the most unlikely of wartime relics, a 100m long section of Atlantic sea wall. 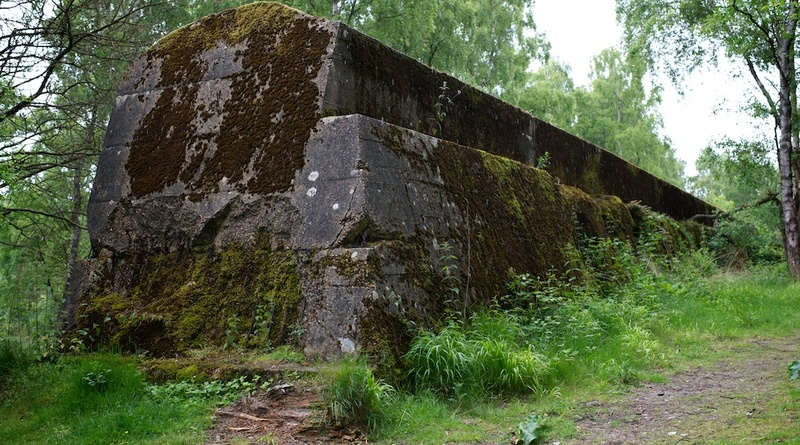 Accompanied by numerous concrete structures of similar ilk, it was constructed in order to help troops practice for the D-Day landings using a range of specialised vehicles. The problem faced by the allies was that conventional artillery didn’t have much effect on a 3.5m x 3m reinforced concrete carbuncle, the wall remaining as impenetrable as it was impassable. Or at least until the Double Onion was developed. 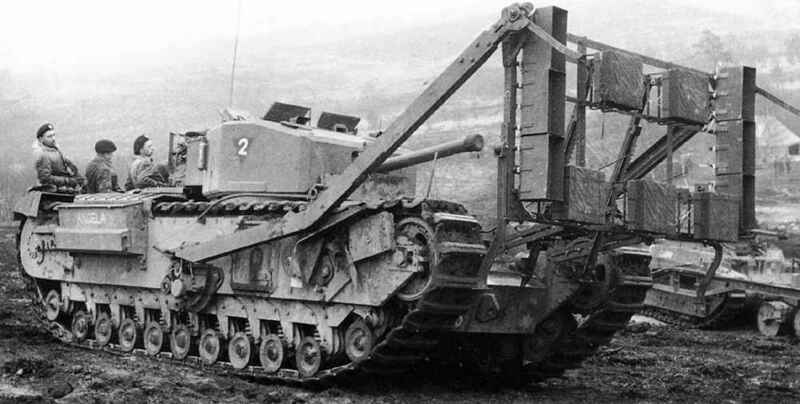 Essentially a Churchill tank with 1,000lb of explosives strapped to a garden gate on the front of the vehicle, this mad beast would drive up to the target, deploy the charge, retreat, and then detonate. The resulting explosion was enough to blow a four meter wide hole into the stubborn obstacle, and cause ceilings to collapse in Tilford, two miles away. Bet that took some balls to drive into battle!